The N64 turns 20 this year and is regarded as one of Nintendo's finest machines, not only because it pushed technological boundaries and introduced numerous innovations, but also because it was home to some of the best games in the company's library. Author and fan Mathieu Manent is working with French publisher Geeks-Line to produce what promises to be the definitive book on the console. Boasting exclusive interviews (including one with Eric Caen of Titus, which made Superman - widely considered to be one of the worst games in existence) collector's guides, game information and much more besides, Nintendo 64 Anthology is over 370 pages of N64 goodness, and can be supported via its Kickstarter campaign. 50,000 Euros is the goal - will you be pledging to see this book become a solid reality? Let us know by posting a comment below. Cool concept but for now Mighty No. 9 has put me off being involved in crowdfunding projects. I didn't back it (MN9) but only because I didn't really know about Kickstarter until the Amplitude one in May 2014. Turned out to be the best situation. I would probably buy this, but would I fund it? Not a chance. I only ever see bad press about Kickstarter. Plus I don't want to pay now and receive the item in a year. Not for me. Donno, €40 for the book and then €15 for postage? Hmm, the super famcom book I'm gettin on May I think comes to 40 in total. Kinda iffy about the price but otherwise yeah its a great idea! The title of this made me think that a Wii U disc compilation of N64 games was coming out. I should have known that this would never happen given the existence of the Virtual Console. Probably the 2nd or 3rd best console of all time but backing it, no thanks. So how do we get the book into the Wii U to play the games? 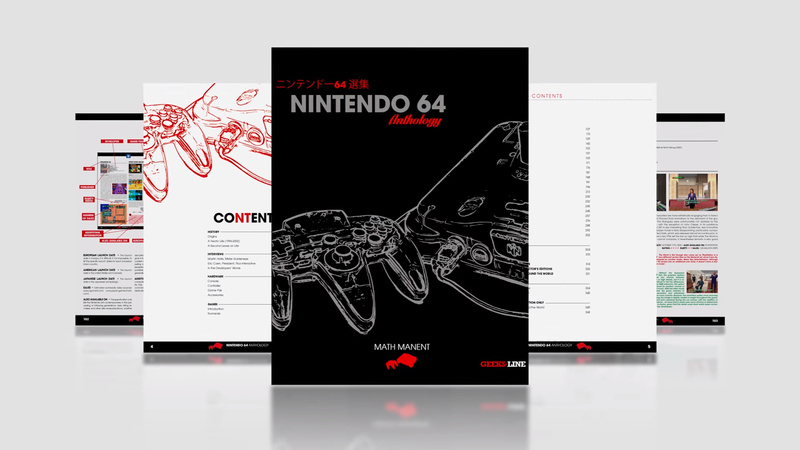 @N64Anthology thanks for the heads up, I'll certainly be keeping my eye out to buy it come September time! N64 is definitely my all-time favorite console, I will most likely back and/or buy this. Not too fond of the design, it reminds me too much of a magazine. If Read Only Memories picked this concept up and did what they did for the Mega Drive now that would be amazing! Saying that, I could be wrong and at the right price I'd probably still give this a chance. I want this, but at the price, I think I'll hold off for now. Not that the book isn't worth it, it just not something I can justify as an impulse buy. But best of luck to the producers, hopefully it get's made and later on gets cheaper when produced in volume. Good idea, wish I'd had the idea- looks great, the N64 holds a fond place in my heart - wish I had kept all the games I bought back in the day. Probably in the minority here, but N64 was the weakest mainline Nintendo console for me. It had a handful of wonderful games, but it's the system that's dated worst (dawn of 3D gaming and all that). And that controller... Innovative, sure, but very uncomfortable! @Grumblevolcano However a game like Shovel Knight, which was a Kickstarter turned about to be a successful game. Also Shantae 1/2 Genie and Toejam and Earl: back to the Groove (both I have backed) are coming along very well. At least with Shantea, they did release a beta and should be released this year. It's a shame that Mighty No. 9 is having issues which is making the successful projects look bad. I will mention that a game will take longer to make, than writing a book, so if you did backup the project, it should only take a few months for the final product to be released. I want this but for me it will be about $70 for the cheapest copy after shipping and exchange rates. If I wasn't saving up for a trip next month I'd be all over this. I hope I can get a copy when/if the kickstarter hits its goal.